If you are looking for information on the The Tutoring Club franchise business opportunity, The Tutoring Club franchises or The Tutoring Club franchising, then you have come to the right place. Join America's fastest growing franchise in the Private Education Industry. This is a ground floor opportunity with great locations still available. Tutoring Club success is measured one franchise at a time. Through uniformity and consistency Tutoring Club is building a brand name that stands for educational success. 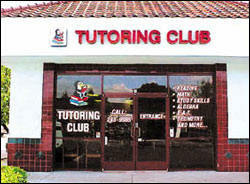 Educational experience is not necessary to become a Tutoring Club Franchisee. Tutoring Club's TutorAid Software makes all educational decisions. TutorAid Software manages all student information: creating, monitoring, and updating lesson plans daily. These lesson plans are then implemented by qualified teachers. Also within the TutorAid Software is a complete financial software program designed specifically for Tutoring Club center finances. 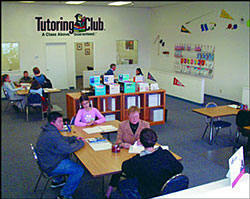 With Tutoring Club you obtain the freedom of ownership, with the benefit of proven support. Type of Business: Individualized education service for students from kindergarten through adult. All services are performed at campus location. Training: Comprehensive training for 2 people at Tutoring Club Headquarters. Support: On site field support from Tutoring Club personnel and annual conference. Qualifications: Background in sales, management, and/or education desirable. Educational degree not required.